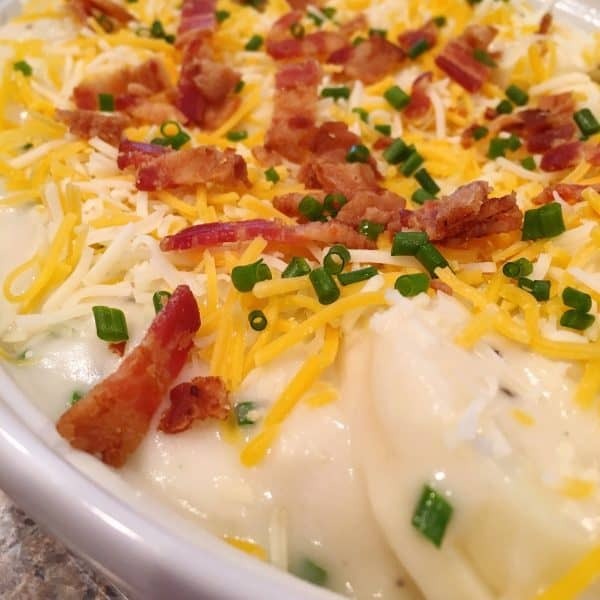 If there’s just two of you for Easter dinner this small dish of creamy delicious Loaded Scalloped Potatoes topped with cheese, bacon, and fresh chives is the perfect side for your small holiday gathering! This year Mr. Nest and I will be celebrating Easter in our empty Nest together. 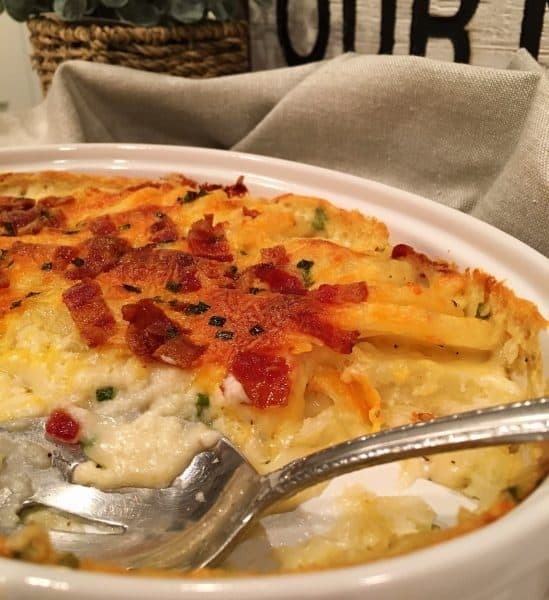 Some how it just wouldn’t seem like the Holiday without a dish of creamy cheesy potatoes! What’s the difference between Scalloped Potatoes and Au Gratin Potatoes? 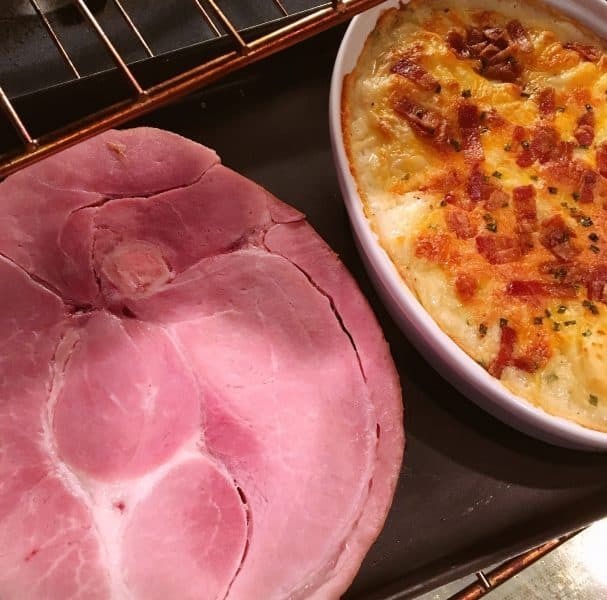 Is there a difference between Scalloped Potatoes and Au Gratin Potatoes? YES! In one way and one way only! 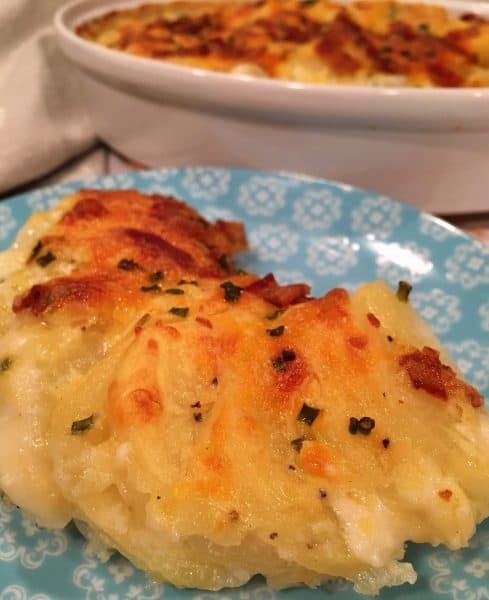 Scalloped potatoes are made in a white cream sauce and Au Gratin in a cheese sauce. It’s really that simple. For this dish I went with Scalloped because I wanted a dish that emulated a loaded baked potato with heaps of sour cream, cheese, bacon, and chives. 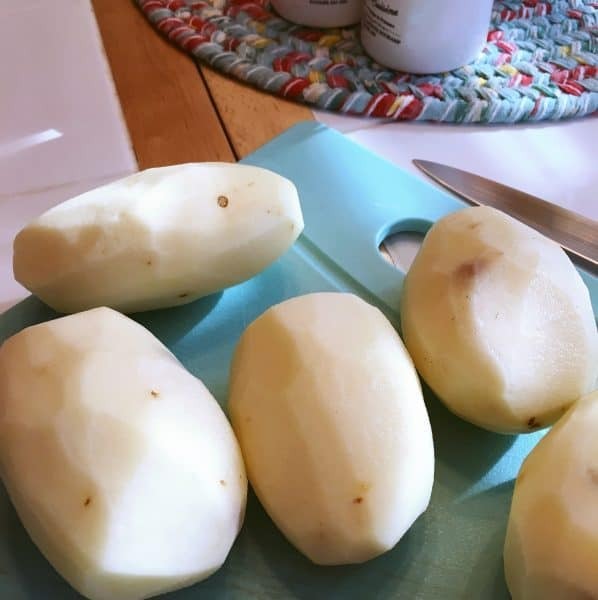 Wash and peel 4-5 medium size potatoes. I used Russets, but you can use Yukon Gold . They’d be FANTASTIC! I only had Russets at the time. TIP: If you use Yukon you can just wash them, you don’t need to peel them, but you can. 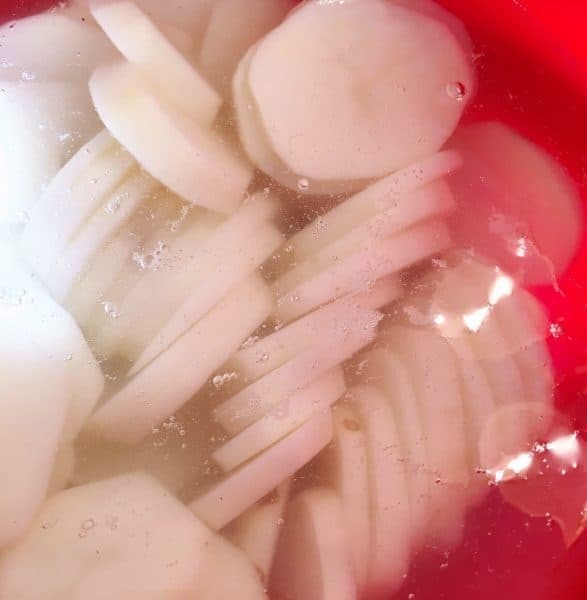 Slice Potatoes into 1/4 inch thick slices and place in a bowl full of cool water. This will keep the potatoes from browning while you make the scrumptious cream sauce. 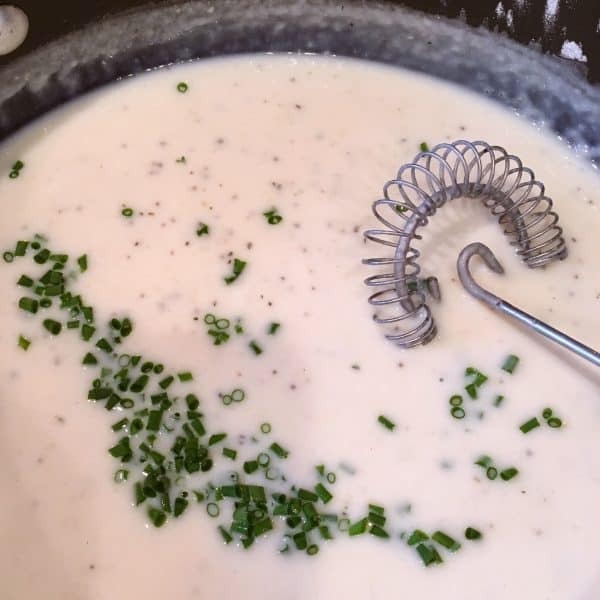 Don’t let a homemade cream sauce scare you! It’s so much easier than people think. Follow my step-by-step instructions and you can’t fail! I promise. 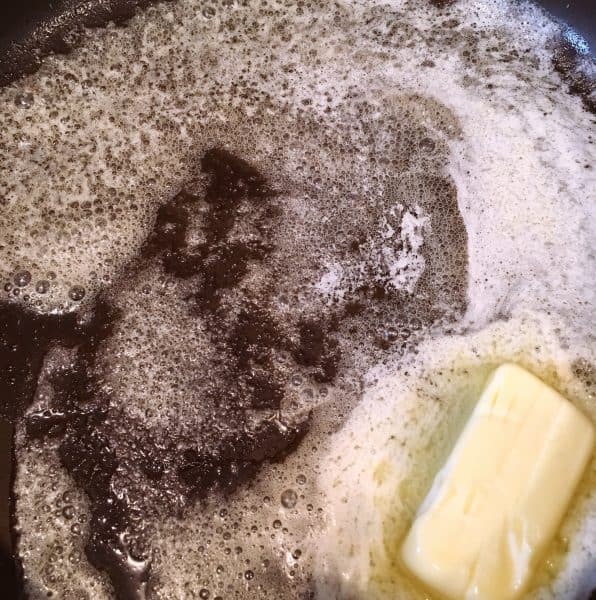 In a medium skillet over medium high heat, melt 1/4 cup of butter. Sprinkle with 6 Tablespoons flour. 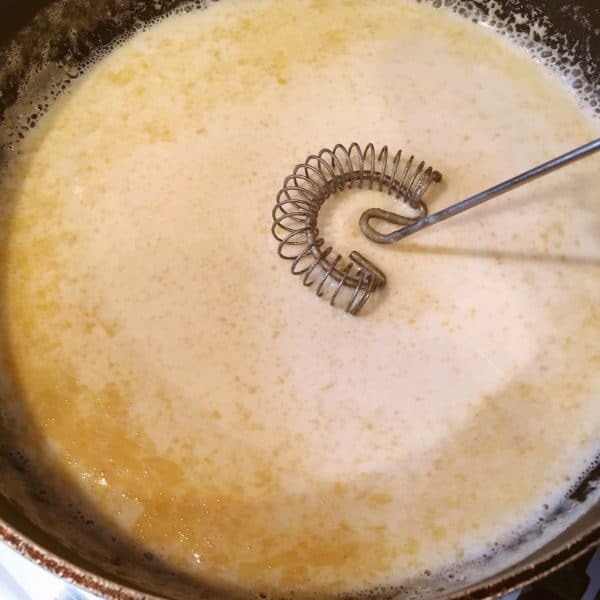 Stir quickly with a wire whisk until creamy and well combined. I love my flat whisk for this. 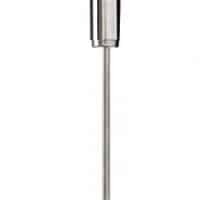 I’ll share a link in the recipe card for this “must have” kitchen tool. You can also purchase them at Ikea…if you have enough stamina to shop in that store. 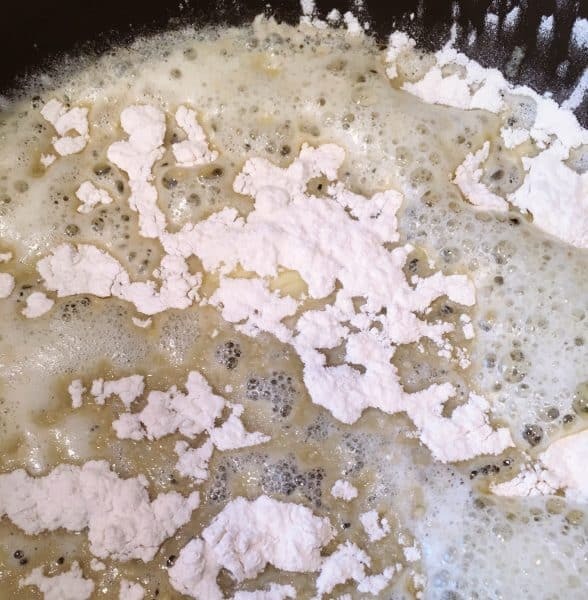 Begin by adding 1 cup of milk slowly while whisking continually. 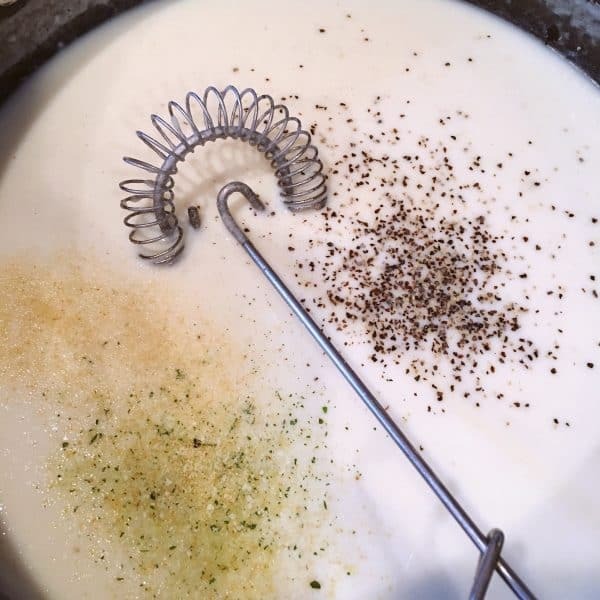 When mixture thickens add more milk as necessary to get the desired consistency. Which should be that of a thick gravy. Add up to 1/2 additional cup of milk. Add 1/4 teaspoon onion powder, 1/4 teaspoon garlic salt, 1/8 teaspoon coarse black pepper, stir until well blended. Add 1 Tablespoon freshly chopped chives. If you love “chives”…add more by all means. Same with the other seasonings. I always recommended a little “finger” taste before calling it good! Everyone’s taste buds differ when it comes to seasonings. Turn heat off and set sauce aside for a minute. TIP: You’ll notice as the sauce thickens… it reduces. (That never happens to me personally…I thicken and, well…nothing is reducing… if ya catch my drift!) See the reduction line in the pan? That’s what you want. 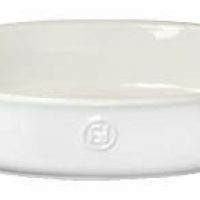 spray a small casserole dish about 10 x 6, or 8.5 x 5 inches, with non-stick cooking spray. Lay drained potato slices in a fanned out pattern starting around the edge and working inward. You can just toss them in there. I find more fit in the dish if you layer them in this fashion. I also believe that just because there’s only two or three of you, there’s no reason you can’t have a beautiful Holiday meal! I like to put as much love into it as I would if cooking for a crowd. I honestly think sometimes cooking smaller meals can be more rewarding as a cook. It allows you to take liberties you might not normally take when cooking for a large group. Pour the cream sauce slowly over potatoes making sure they are completely covered! Don’t skimp with the sauce! This isn’t the Obstetrician’s office! Ya know… trying to cover up everything the Great One above gave you with a “Tea Towel”! Sorry men! This is a humiliation you can’t possible imagine until you’ve been handed a kleenex and told to drape it over you!… “Over me? As in in my knee cap? Perhaps just one of the “sisters” is a little chilly and you’re being considerate? Surely you don’t mean OVER ME?! !” Don’t tell me you don’t want to slap that 20 year old nurse silly! YOU HAVE PREGNANT PEOPLE IN HERE TOO Precious! Not just fat flabby old grandma’s for the love of Pete! Rant over…Whew that felt really good! Okay back to our regularly scheduled program! These are loaded taters…and by gosh by golly…load’em up with that cream sauce! Smother them in that delectable cream sauce base making sure it flows into every nook and cranny. You may have a little more sauce than will fit into the dish. Careful not to overfill the dish. Sprinkle the top of the potatoes with 1/3 cup of grated cheese, two Tablespoons bacon crumbles, and a 1/2 tablespoon of chopped chives. You can add more if you like…far be it for me to say “how loaded” you should get! Take a look at this beautiful dish! And you only have to share it with one other person! Hooray!!! Your potato laden ancestors are cheering! TIP: Place dish on top of a baking sheet. This will help keep your oven nice and clean if the dish should bubble over during cooking. Yep…I threw a ham steak on that piping hot baking sheet pan… half way through the potato cook time. That’s another post! Stay tuned! Preheat oven to 350 degrees. Bake for 45 minutes or until potatoes are fork tender, the sauce is bubbly, and the cheese is golden and crusty! 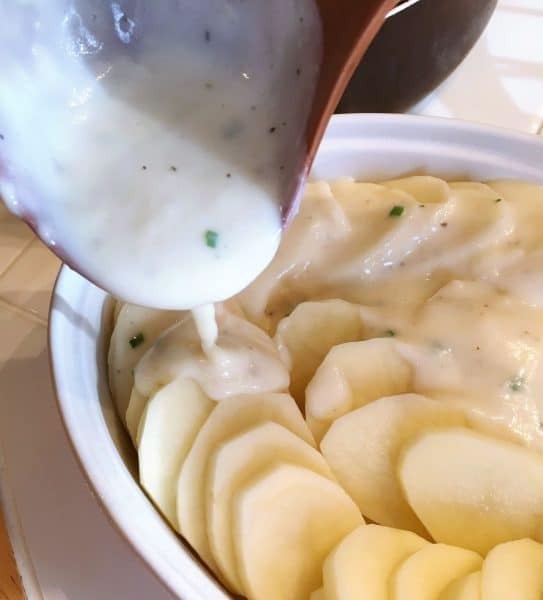 Look at that beautiful buttery cream sauce and the layers of tender potatoes. All topped off with your favorite goodies! Let’s hear it for Baked Scalloped Potatoes! 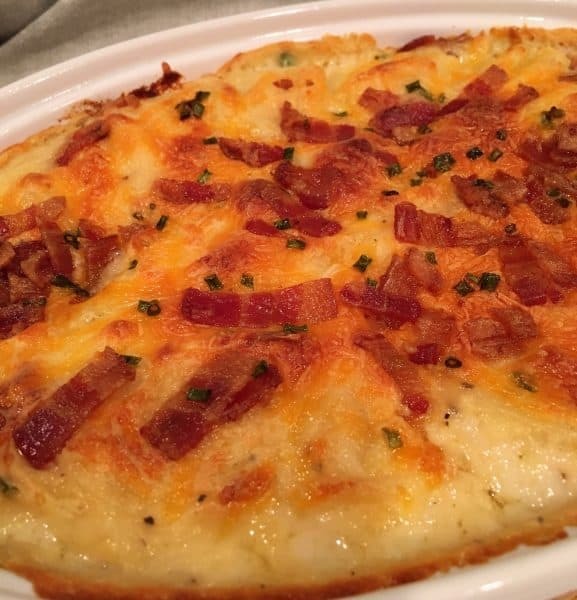 Loaded Scalloped Potatoes for Two are so wickedly delicious! 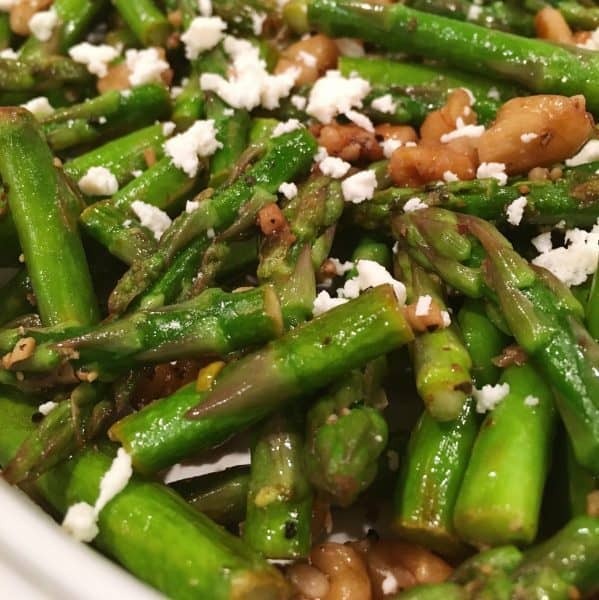 They are truly the perfect side dish to go along with your Easter main course. I’ll warn you though…you may want to triple this recipe…Mr. Nest had 3 servings of this delightful heavenly dish! 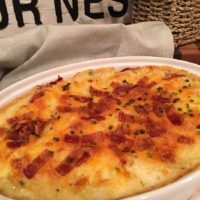 A few Answers to Scalloped Potato Questions? Can I bake them ahead of time and keep them warm until serving? YES! You can bake them ahead of time and keep them in a warm oven up to two hours before serving. Any longer and they may get too mushy! 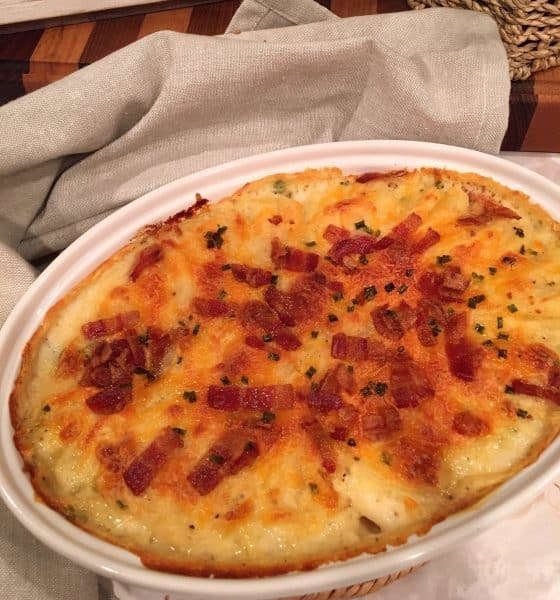 Can I make these scalloped potatoes in my slow cooker? YES! Spray your slow cooker with non-stick cooking spray and follow the direction for preparing. Cook on low in your slow cooker for 4 – 6 hours depending on how your slow cooker bakes. Tater lovers of the world… I give you my contribution to your Easter dinner table! I hope you enjoy it as much as we do! It will go beautifully with your Ham, Lamb, or Roast and it’s sure to be loved by any size group…even a group of two! Be sure to follow me on Facebook, Instagram, and Pinterest! 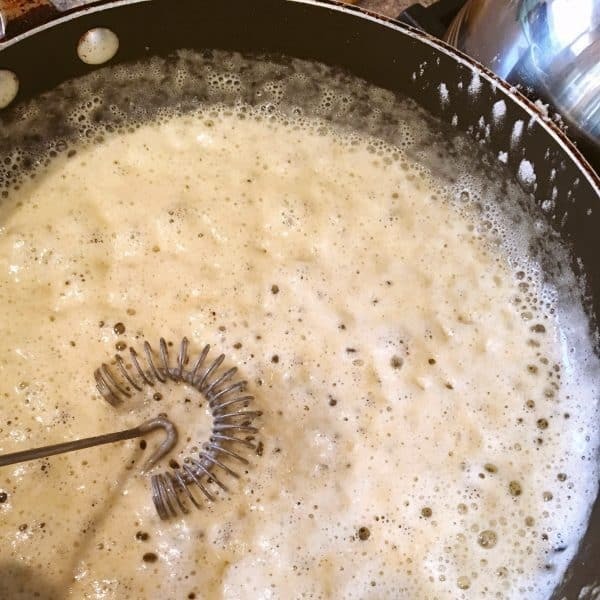 I’d love to have you join me on my Social Medial channels as I share my favorite recipe every day! 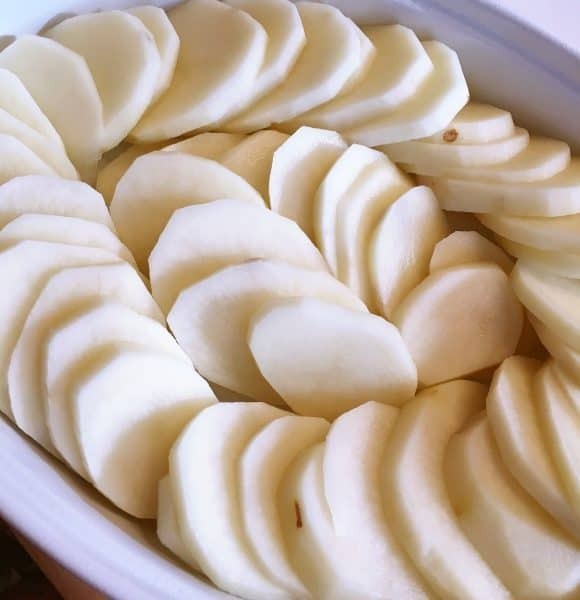 I’m sharing these delicious potatoes over on a few of my favorite link parties. Click the links below to join the fun! Happy Holidays and Happy Nesting! 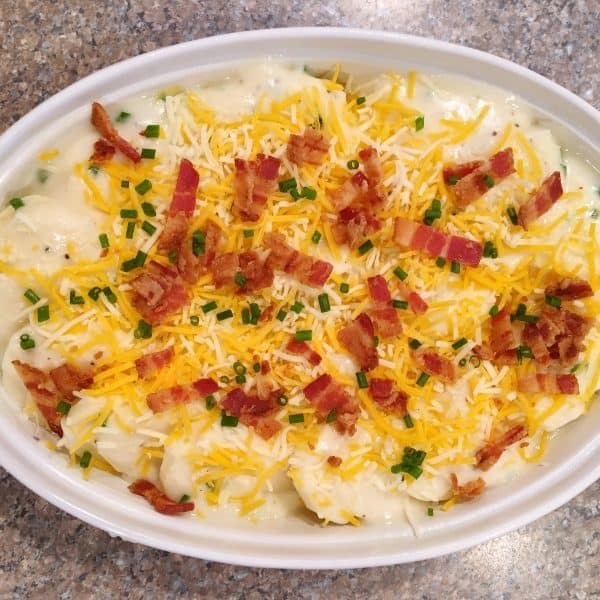 Sliced fresh potatoes in a rich creamy homemade chive white sauce topped with cheese, bacon, and more fresh chopped chives to create a loaded scalloped potato dish for two. In a medium skillet, over medium heat, melt butter. Sprinkle with 6 Tablespoons of flour. Mix until well combined. Add onion powder, garlic salt, black pepper and chives. Stir to combine. Prepare a small 8 x 5 or 10 x 6 baking dish with non-stick cooking spray. Layer potatoes in a circle around the dish starting around the edge and ending in the center. 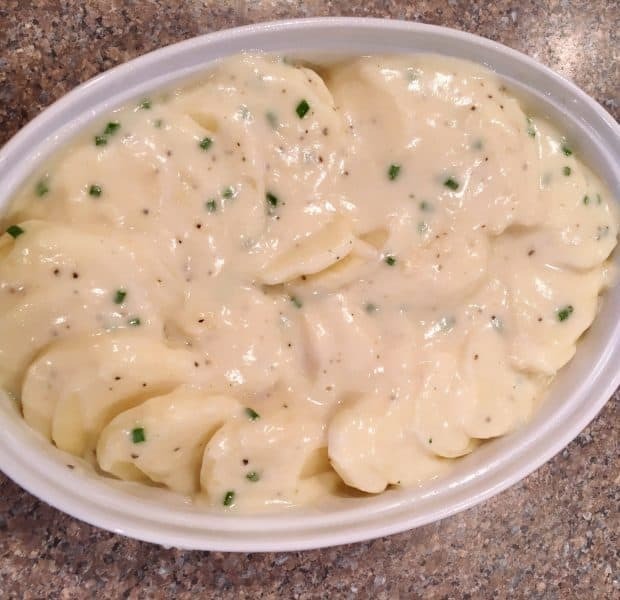 Pour cream sauce over potatoes completely covering potatoes. Sprinkle top with grated cheese, bacon, and additional chopped chives. Place potatoes in preheated 350° oven and bake for 45 minutes until potatoes are tender, sauce is bubbly, and top is golden crunchy. 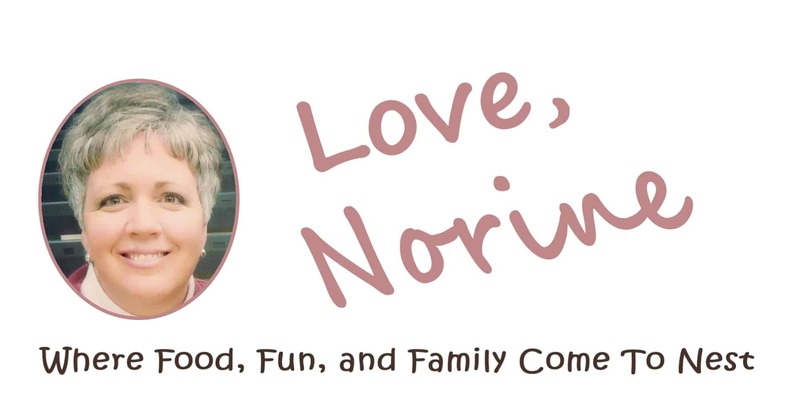 Norine’s Nest in no way provides any warranty, express or implied, towards the content of recipes in this website. It is the reader’s responsibility to determine the value and quality of any recipe or instructions provided for food preparation and to determine the nutritional value, if any, and safety of the preparation instructions. 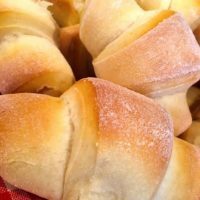 Fluffy Tender Lion House Dinner Rolls are made in your Bread Machine and are a family favorite. 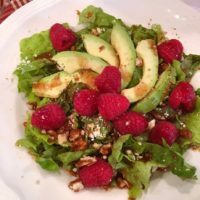 Spring Mix topped with crumbled feta cheese, candied pecans, fresh sliced avocados, red raspberries and a homemade raspberry vinaigrette. Thanks so much for recipes for two. I am so used to cooking for 6-8 people, and end up with left overs for a week. Subscribe to blog to receive notifications of new posts by email. Welcome to My Nest! Where I share my love of GREAT food with a side of humor! Cause Carbs and laughter are two of my favorite things!